It’s no secret that my love for macrame runs deep. 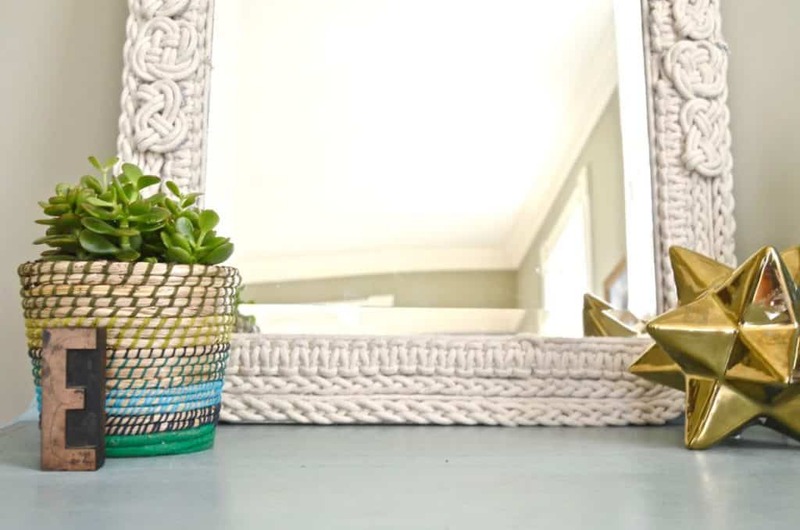 As a kid, I made dozens and dozens of those friendship bracelets so when I picked up some rope last year to add some inexpensive decor to our new dining room… the knots came right back to me! I’ve since taught some macrame classes and I even had the chance to demonstrate macrame on the Hallmark channel’s Home and Family show, so I figured it was about time to round up some of my macrame favorites here on the blog! 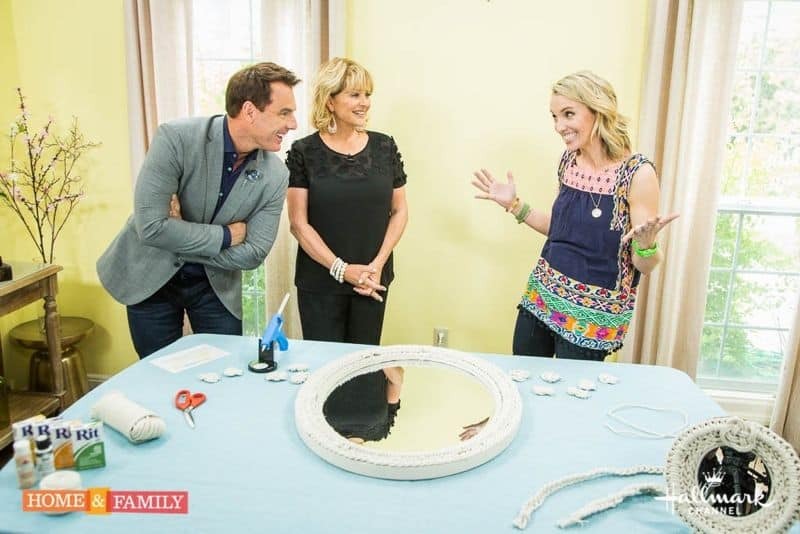 My personal favorite is the braided mirror I made for Home and Family show. Here’s a peek at my original post about it! I’m also a HUGE fan of the macrame wall art I made for our dining room… when mounted on a simple canvas backdrop, the macrame is slightly elevated, in my opinion. I’ve actually never shared a thorough tutorial on my blog, so… here ya go! Posted this to YouTube last week, so head over (why not subscribe!) and see HOW TO MACRAME! 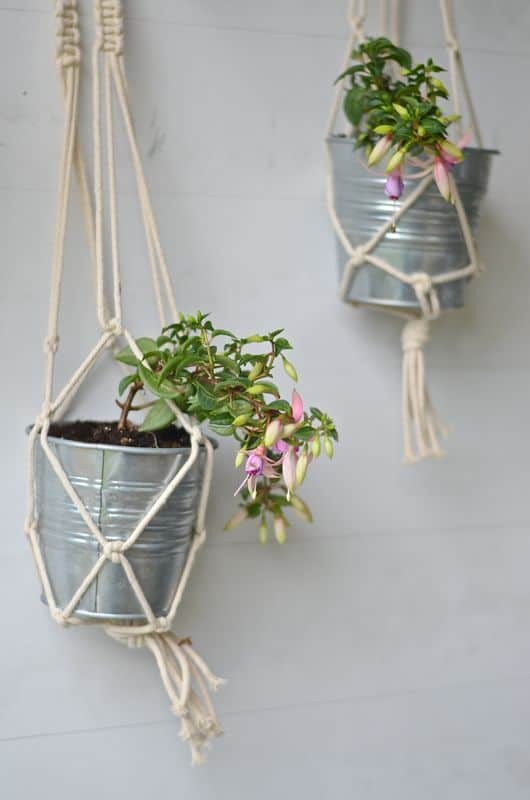 Last but not least… macrame plant holders? Yeah… they’re STUPID easy. Pinky promise. 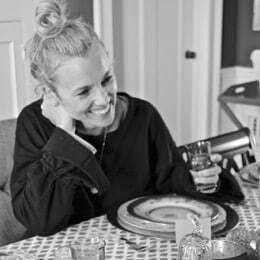 There’s also a video with that post so again… head on over! 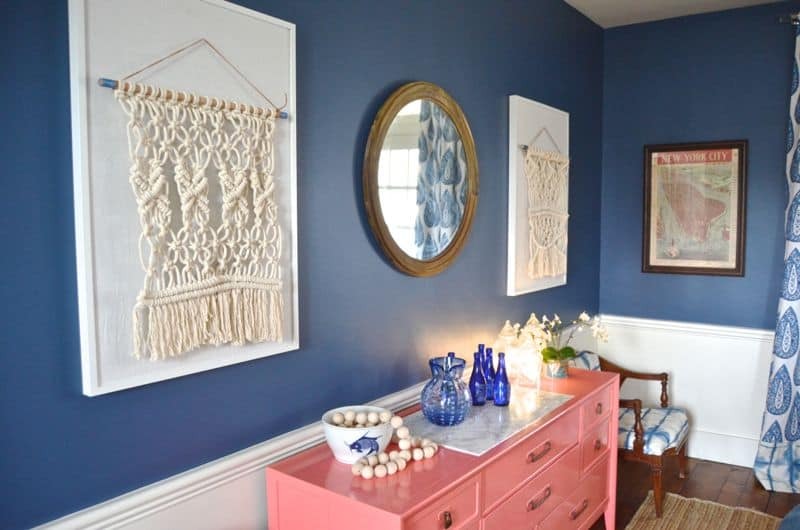 What’s YOUR favorite macrame vibe… wall hanging? Table runner? Jewelry? Lemme know! We can bond over our love for all things knotted! Hi there! I’ve heard for a standard macrame wall hanging, plan on 8x the final length of the finished piece. A plant holder is obviously different, but maybe start with that? Hi Charlotte! do you teach classes? I want to make a door curtain to hide my laundry room that is visible from the kitcen. 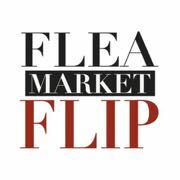 if not, Can you recommend a class in the Charlotte, NC area. Oh Goodness, I didn’t notice where you’re located. Well let me know thanks. Hi there! I don’t, but I’m sure you could find someone in NC who does! Try contacting some local craft stores perhaps? Great tutorial! THanks so much for sharing. 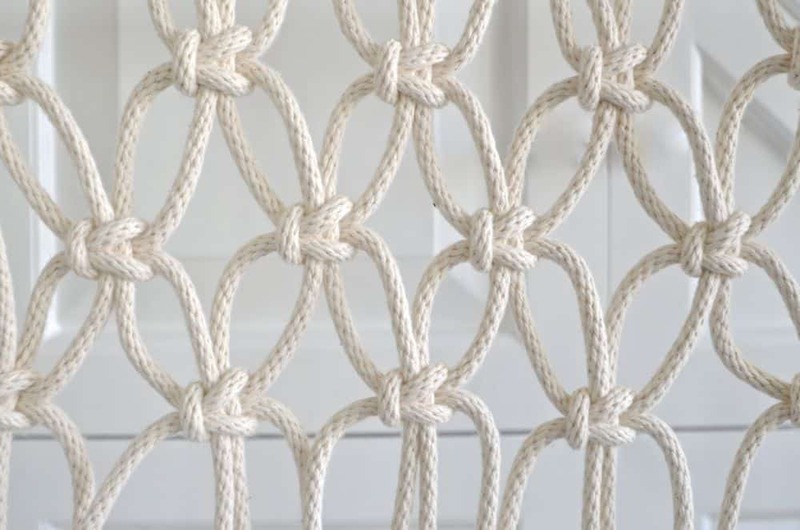 could you recommend a type of rope (and MM size) for macrame? What to look for when you buy? I’ve seen a few on amazon but would love a recommendation from you! Hi Erin! I typically order my cotton rope from here: https://www.knotandrope.com/collections/3-strand-cotton I get the 1/8″ or the 3/16″… but keep your eye out for cotton rope at places like hardware stores or the dollar store (clothes lines) too!